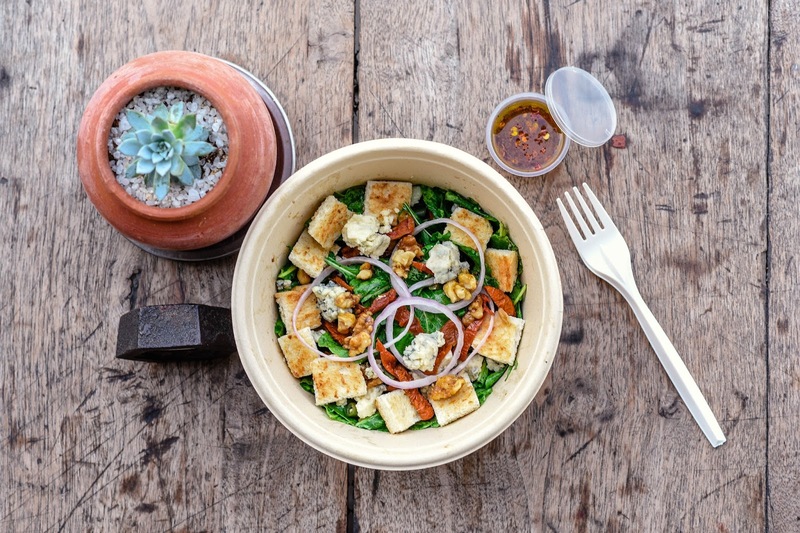 Born in 2007 on the beautiful beaches of Goa, and now on a pretty oasis rooftop in a bustling locality in Bangalore India, Om Made Café awakens the senses with their great food, fabulous service, and soothing setting rich with art and music. 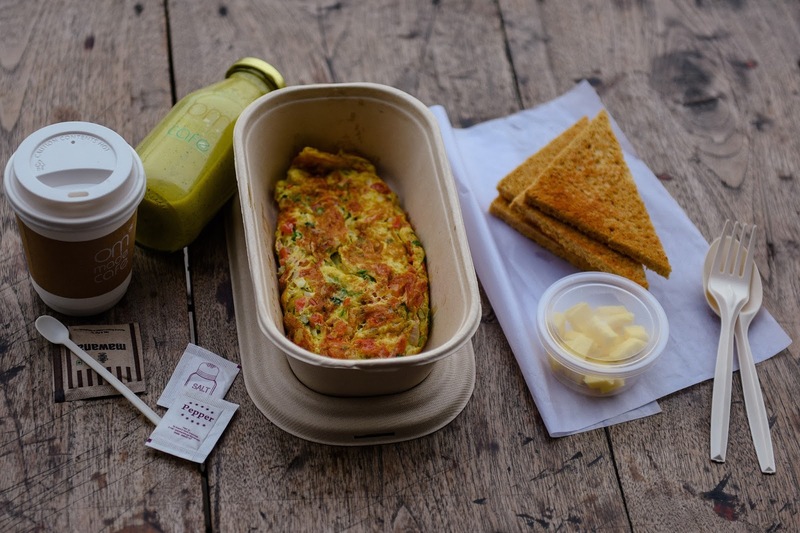 Om made cafe was conceived as a lifestyle cafe born from passion to create a tranquil oasis for their customers and provide an engaging balance of food, atmosphere and service. 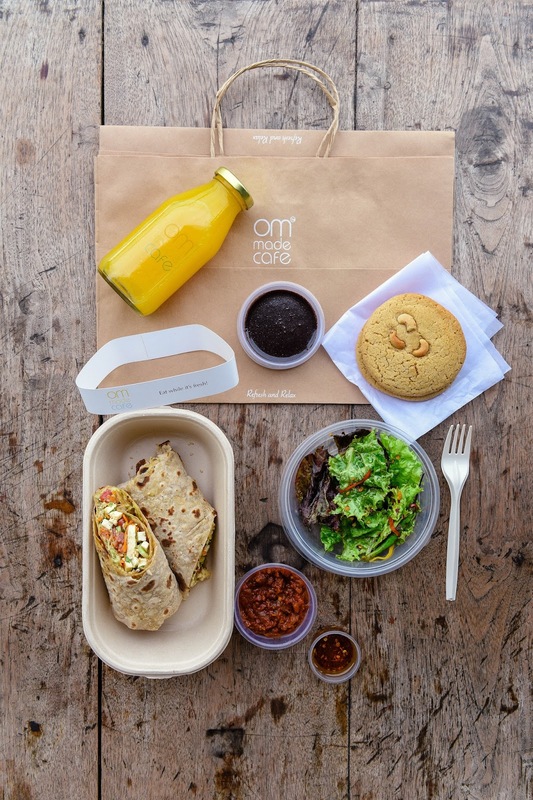 Om Made Cafe’s idea to share their passion and love for wholesome food with as many people as possible and to cater to the increasing need for good healthy food to be delivered to one’s doorstep or their workplace encouraged the idea of home delivery. 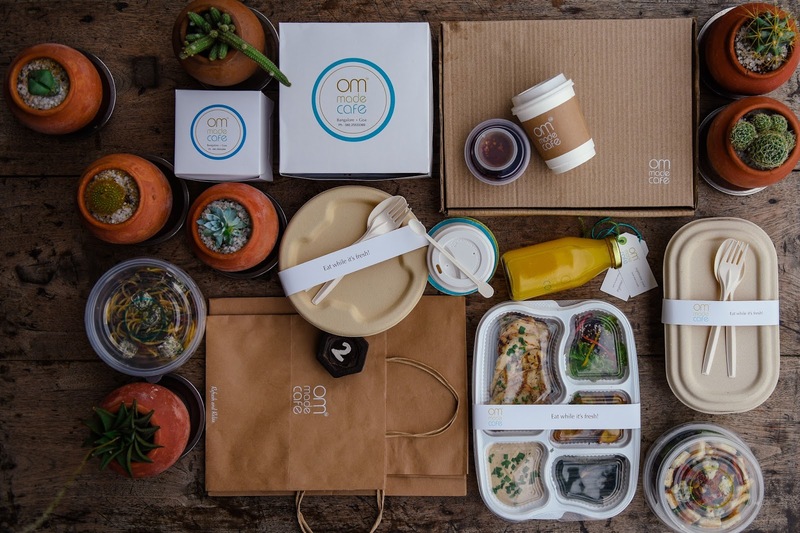 The idea of designing and curating a range of eco friendly biodegradable packaging for home delivery for a 5Km radius came as an extension of the brand’s philosophy of wholesome, organic, healthy food. We looked at compostable Bamboo fiber boxes which are 100% Food Grade, Non-Toxic, Zero Plastic and microwaveable for most of the semi dry- dry dishes. Printing was kept to the minimal on paper tags so it can be recycled easily. Color scheme was kept muted with whites and browns and also retaining the original color of the source material. 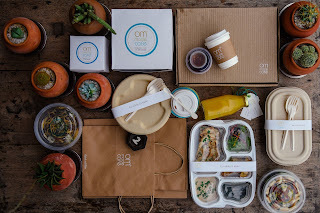 BE ECO - Eco friendly home delivery packaging for Om Made Cafe - an effort by the cafe to deliver food in eco friendly bio degradable packaging as much as possible : being sensitive to the environment. 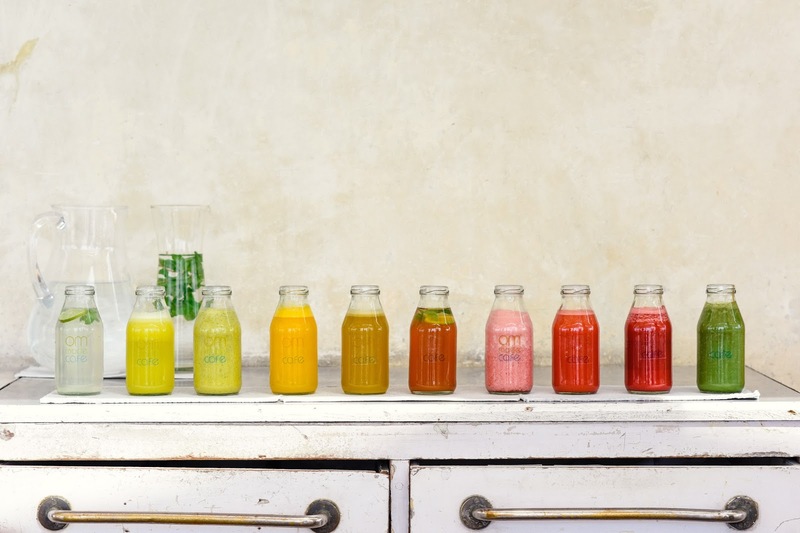 With the growing burden of plastic pollution we are battling in the world it, it's time for a change in the way we live life - its time for those small steps that make a big difference. It does cost the cafe 3 times more than a regular plastic container but its for a bigger cause.